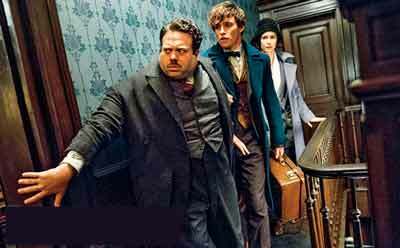 We’re just a few weeks away from the Wizarding World expanding past the Harry Potter tales and focusing on Newt Scamander‘s adventures in the early 20th century in Fantastic Beasts and Where to Find Them. Of course, most of you already know that an entire series of Fantastic Beasts movies has already been planned, which means that work is already underway on Fantastic Beasts 2. In case you needed proof of that, the news just broke that Johnny Depp has been added to the sequel. According to Deadline, Johnny Depp will participate in Fantastic Beasts and Where to Find Them 2. No details were provided about his character, but apparently moviegoers will be able to spot him in a cameo role during this first movie. If that’s the case, that means his involvement was planned long ago. More updates to come, follow Cinemablend dot com to stay in touch.